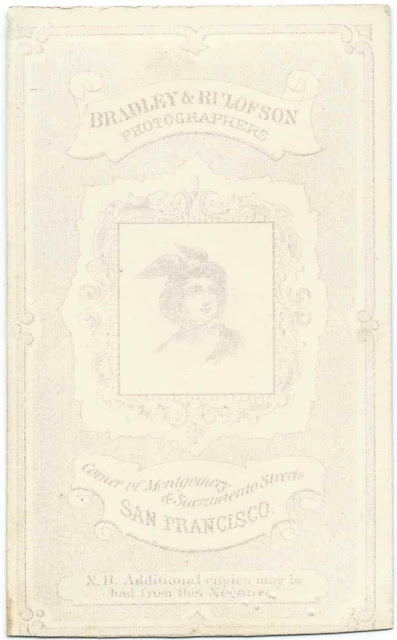 Two Cartes de Visite of a man identified as J. Graham Rodgers; the photographs were taken at the studio of Bradley & Rulofson, located at the corner of Montgomery and Sacramento Streets, San Francisco, California. 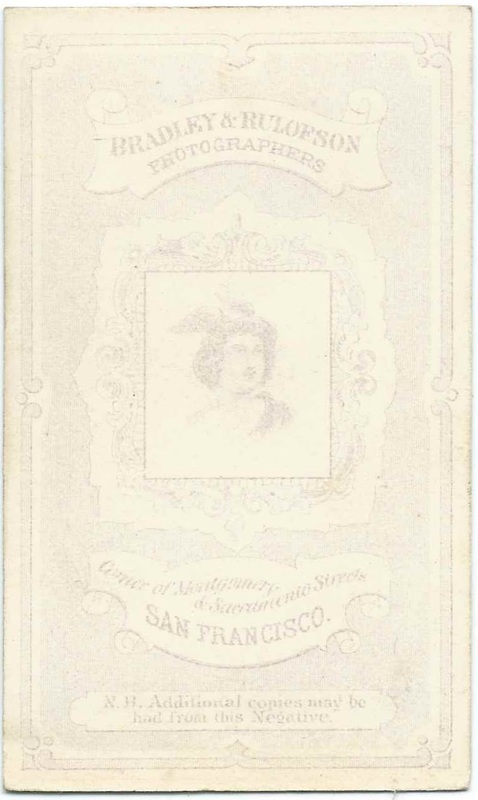 J. Graham Rodgers appears in the 1865 and 1867 City Directories of San Francisco, California. 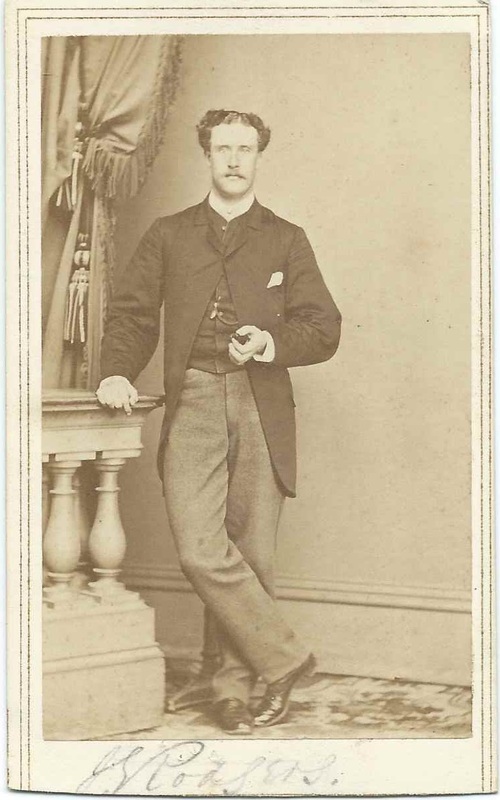 He was associated, presumably by family relationship, with the firm of Rodgers, Meyer & Co., which operated the California Silk Manufacturing Company and dealt in importing and exporting. Rodgers & Meyer & Co. was formed by Robert Rodgers and William Meyer. 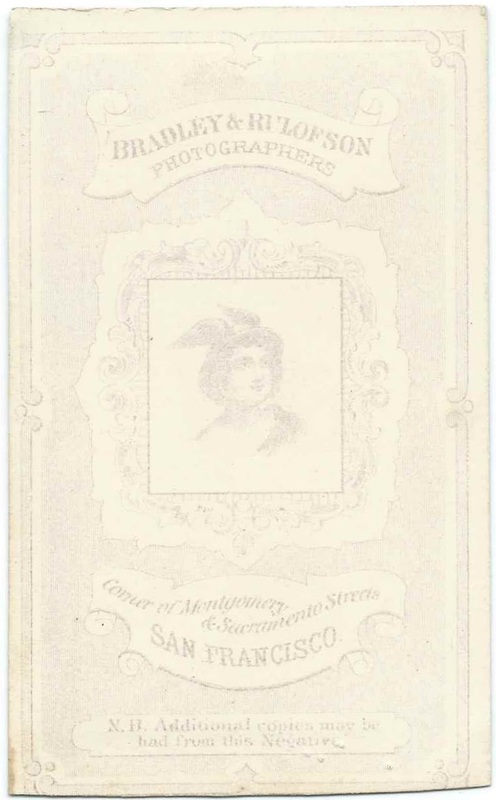 The listing below, which also mentions Robert Rodgers, Jr., is from the 1865 directory. It's likely that J. Graham Rodgers was another son or a nephew or other relative. Roberts & Meyer & Co. also had an office at Portland, Oregon. 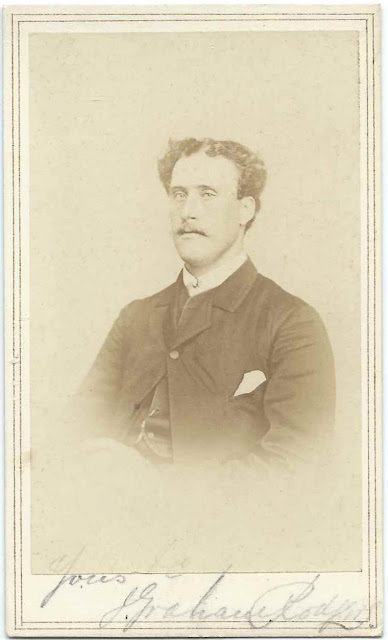 In addition, Robert Rodgers operated Robert Rodgers & Co. at Liverpool, England. A line in the January 14, 1882 issue of Bradstreet's Weekly mentions that the firm of Rodgers & Meyer & Co., importers and commission, had dissolved. An article in the January 1, 1884 issue of the Sacramento Daily Union about California sericulture reveals that the silk factory operated by Rodgers & Meyer & Company, was destroyed by fire in June 1882 - presumably when the firm dissolved, the silk plant was still owned by at least one of the principals, or the the date of the fire is incorrect. 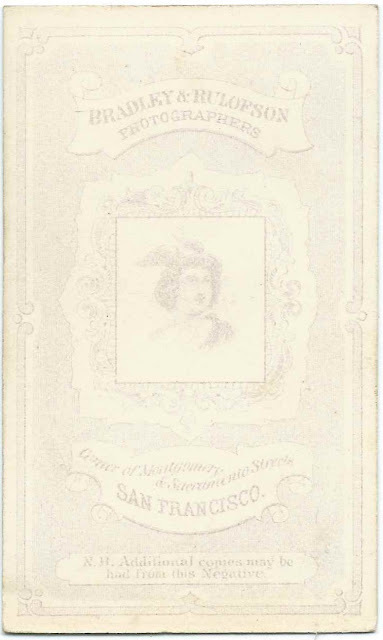 A man by the name of J. G. Rodgers, born about 1828, sailed from San Francisco, California to Hawaii on the vessel Yankee in 1862. Whether this is J. Graham Rodgers or not, I don't know, but it's plausible. If you have information as to the identity of J. Graham Rodgers, please leave a comment or contact me directly.